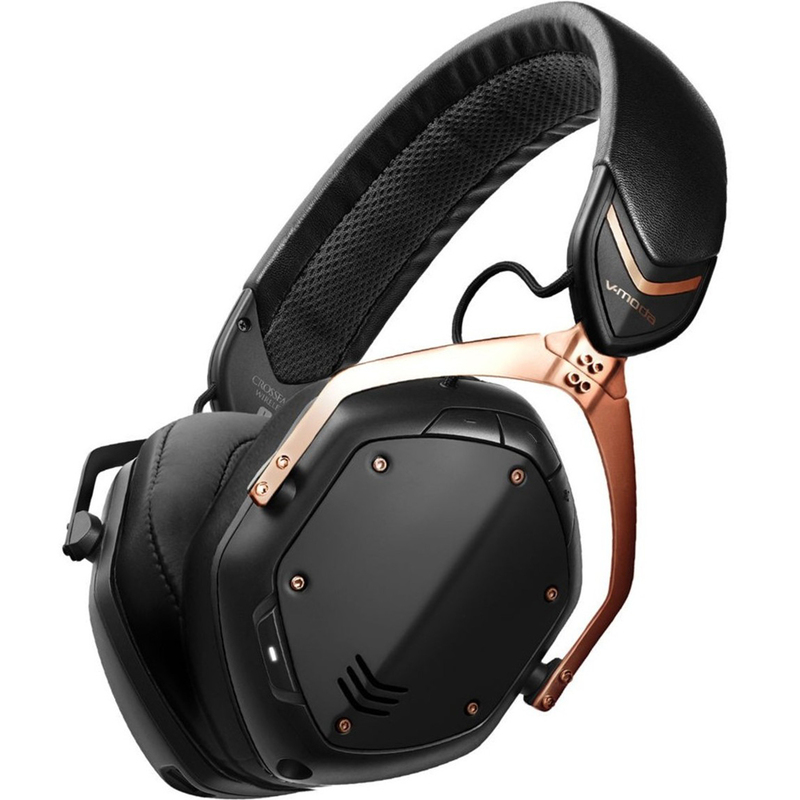 The V-Moda Crossfade Wireless II Bluetooth Headphones Rose Gold are designed for audiophiles and music professionals, providing exceptional audio performance combined with extreme comfort. The V-Moda Crossfade Wireless II headphones feature 50mm dual-diaphragm driver and high-resolution CCAW coil resulting in an extended frequency range that captures every nuance of your sound, ideal for music enthusiasts and musicians alike. The revamped design comes complete with its own wire for added definition, ranging up to 40kHz for optimal performance. The crystal clear clarity and high-resolution sparkle captures the energy and vibe of anything you throw at it. 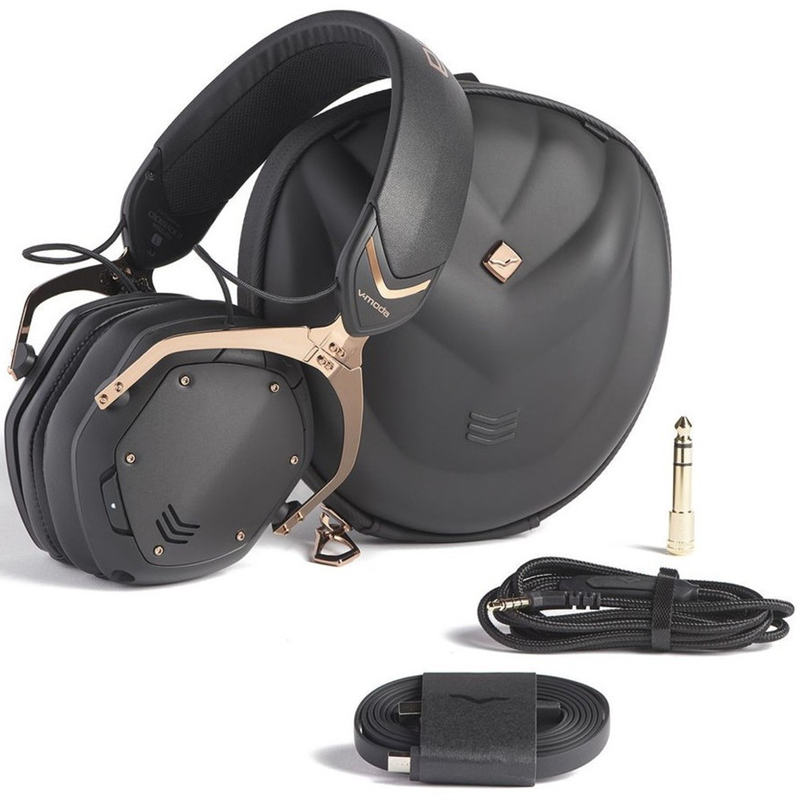 The exceptional audio fidelity is down to V-Moda’s selection of high-grade components. In addition, the driver and CCAW coil, the headphones possess Micro Vamp technology as well as passive noise isolation and minimal sound leakage, for a truly immersive 3D sound stage. The drivers themselves are tested at 5 frequencies for a strict consistency, ensuring optimal reliability and audio performance. In addition the wired mode, the V-Moda Crossfade II includes integrated wireless Bluetooth connectivity. Once you pair your Bluetooth device, you can enjoy your freedom up to 30 feet away from the device for maximum flexibility. This ensures you are not restricted by the operating range while on the move. The internal battery is 15 percent longer lasting, providing up to 14+ hours of music from a full charge. Once you plug a cable in to the jack, the headphones will automatically switch from Bluetooth into zero-latency performance, saving battery power and improving the audio quality. 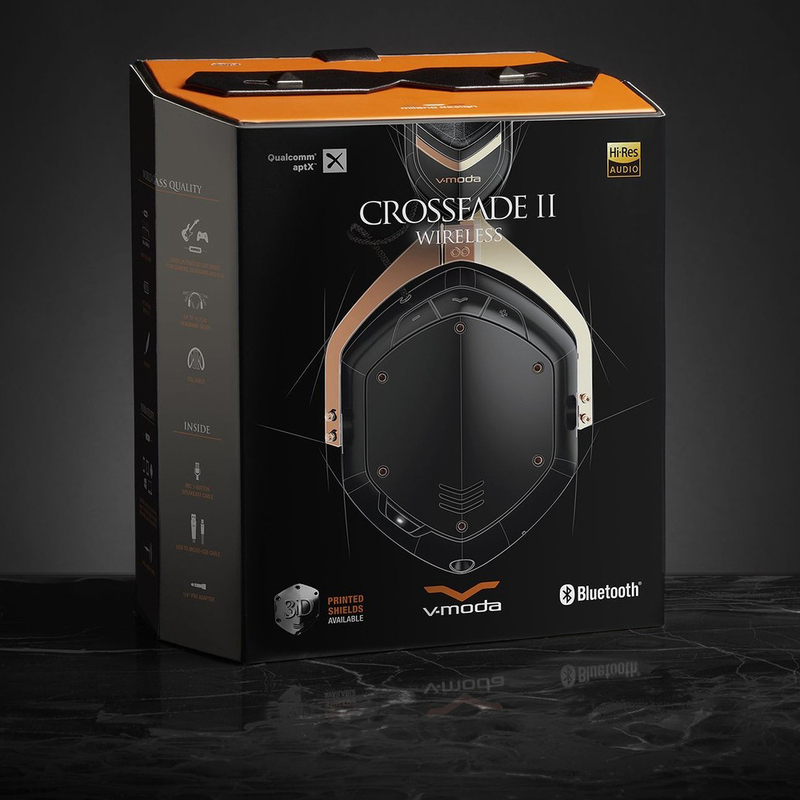 In addition to providing audiophile-grade sound, the V-Moda Crossfade Wireless II’s are designed for maximum comfort. The sleek and stylish design not only looks good bust boasts memory foam cushions on the ear pads to minimise fatigue. The design itself is constructed using lightweight metal component and premium-grade materials, optimised to ensure extreme comfort. Additionally, the headphones come complete with a 1-button SpeakEasy microphone cable, USB cable, gold plated ¼-inch Pro adapter and an exoskeleton carry case for added convenience.